Dr. Joe Hopkins is a Primary Care Optometrist who specializes in Glaucoma care, Low Vision Rehabilitation, and specialty contact lens fittings (ie Reshaping Lenses that allow you to see without prescription). He has been practicing in the Upstate since 2000, and sees patients of all ages. 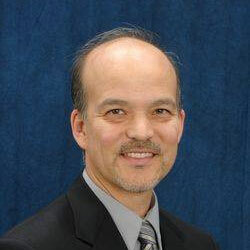 Dr. Joe graduated with a Bachelor of Science in Information Systems from San Diego State University. He then began his career in the United States Navy as a commissioned officer. After 4 years in the Navy he went back to school and earned his Doctorate of Optometry at the Southern California College of Optometry. Dr. Joe is an active member of the American Optometric Association, the South Carolina Optometric Association, and the Piedmont Optometric Society.